The Library is laying down some choice tracks from our bookstacks during the 2018 Summer Reading Program: Rock & Read. Between May 25 and July 31, both youths and adults again have an all-access pass to great books and programming -- all with a music connection. With this year’s thematic music/book mashup, the Summer Reading song remains essentially the same: Read any five books between May 25 and July 31, log ‘em, and earn a rockin’ reward. Youth Prize: Tote some titles around town with a stylish book bag. Adult Prize: Raise a toast to reading with a rockin’ pint glass. What do books and music have in common? For starters, both embrace storytelling. Whether reading the classic tale of a young lady chasing rabbits into a Wonderland of weirdness, or hearing the bar-ballad saga of a small-town girl livin’ in a lonely world aimlessly riding late-night public transit, each medium unfurls a story (or dare we say... journey) that explores themes such as love, power, adventure, and wonder. The Library’s Rock & Read program celebrates the harmony between music and books. Biographies of notable songwriters and performers, fiction with a bookish beat, deep-dive pieces on genres from punk to hip-hop, memoirs of lives well-rocked, essays on music and culture, youth-friendly titles, and other reads all make up a veritable Bookapalooza this summer. 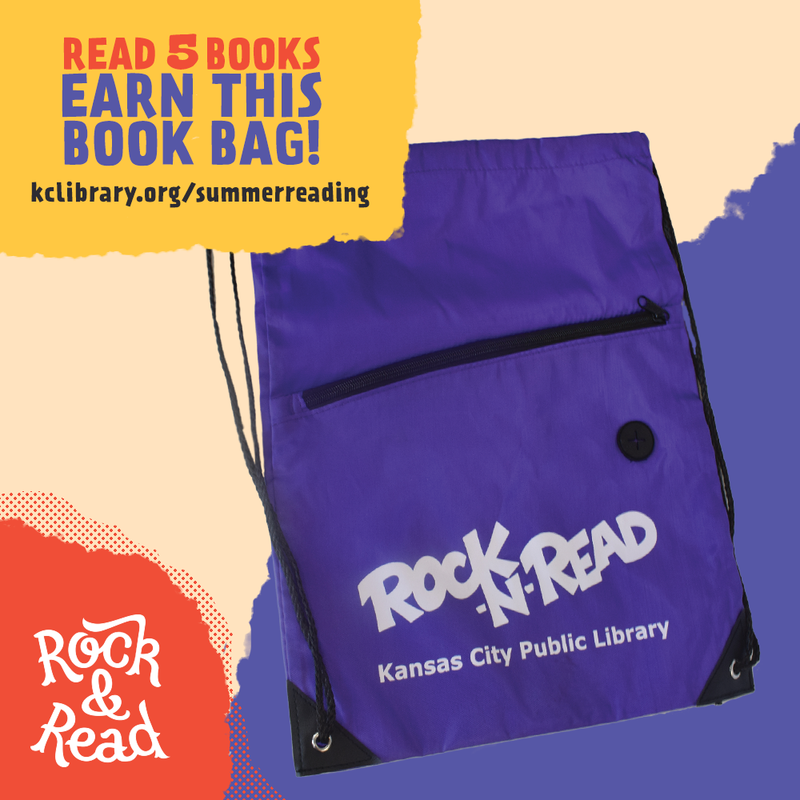 Share your Summer Reading experience on social media, tagging your posts with #KCSummerReads. Attend a Summer Reading event or activity at various Library locations. Check out the lineup of youth events and adult programming. Crash a Summer Reading book discussion group and riff on reads with other fans. Check out digital music services offered by the Library and queue up your Summer Reading soundtrack. Explore, stream, and download at kclibrary.org/music/digital. This year, youth and teens can take advantage of some Summer Reading bonus tracks: Upon registration, every youth participant gets a FREE book, and is eligible to read away Library fines and fees and giving his or her account a fresh start. Get registered, visit your neighborhood Library location, and Library staff will make sure the kids are all right by erasing all their fines. The Library offers many ways to add some rhythm to your reading this summer. For those about to Rock & Read... we salute you.